If you are a web worker who is spending most of your time doing business with foreign clients in multiple time zones around the world on a daily basis, fond of travelling into different foreign places or having family and friends living in other countries then you must need a tool to help you check the current time and date in every time zone worldwide. Meeting deadlines, sending out something at an exact time or making an international phone call at the best time is no longer a problem with the aid of these several websites which display the current time in thousands of destinations around the world. 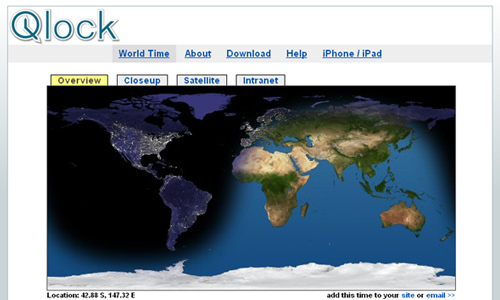 Here are the 16 Websites with World Clock Utilities for Us to Check the Time Anywhere in the World. These websites can be used for free without the need to register. So go ahead and browse this list right now! 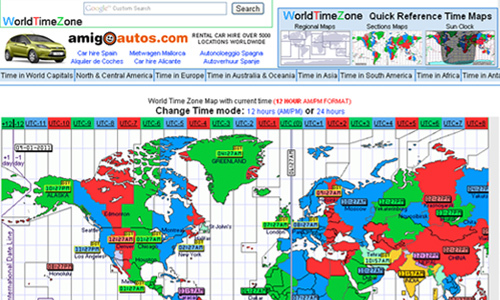 24TimeZones.com is an online tool which allows you to check current local time around the world. 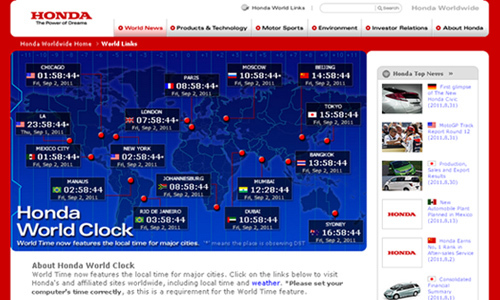 Honda World Clock is a live web-based world time clock which features the local time for major cities in the world. 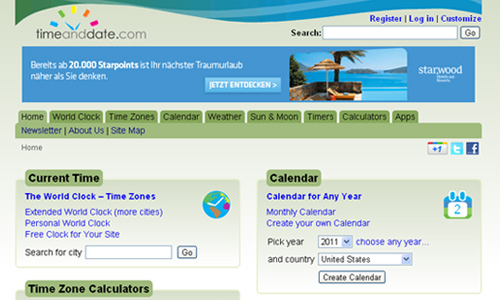 TimeandDate.com is a site which shows the world clock and other time and date related information. 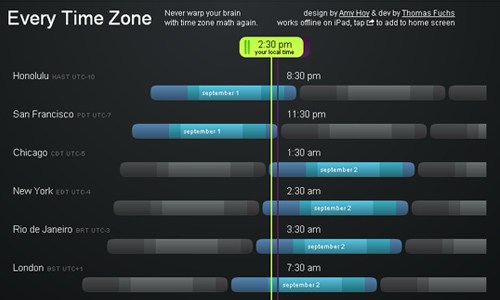 Time.is lets you check if you have the exact time, and what time it is in any time zone. 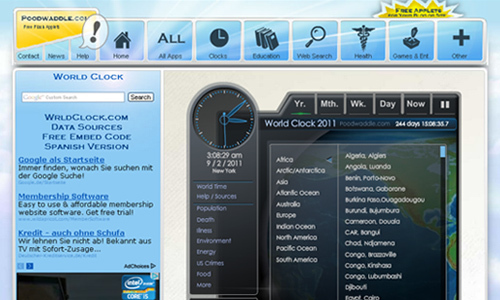 ClockLink is a free clock which provides fashionable clocks that you can use on your website or blog. 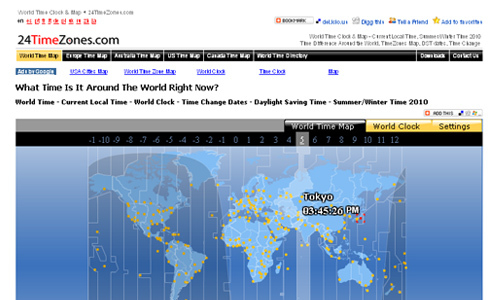 Poodwaddle.com is another application you could use to check the world clock. 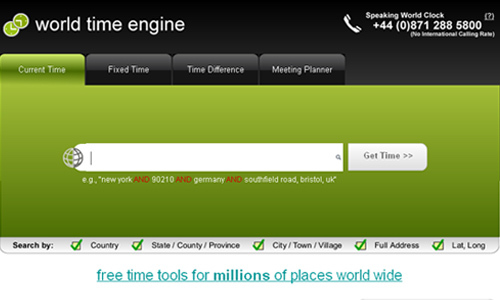 TimeZoneCheck is a local time map which shows the current local time in major cities across the world. 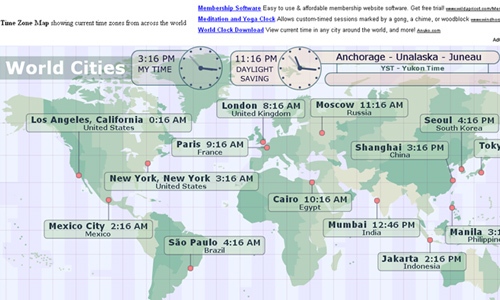 WorldTimeZone shows the current time around the world and countries operating Daylight Savings Time. 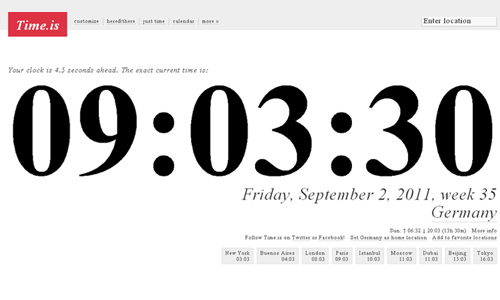 TimeTicker is an online clock application which displays the exact time of the world in the different time zones. 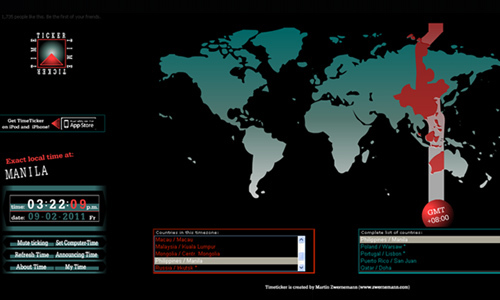 Qlock is a customizable clock application which enables you to display the current time for any major city in the world. Every Time Zone is a simple slider-based time-zone checking site which shows the current time now in every international time zone of the world. 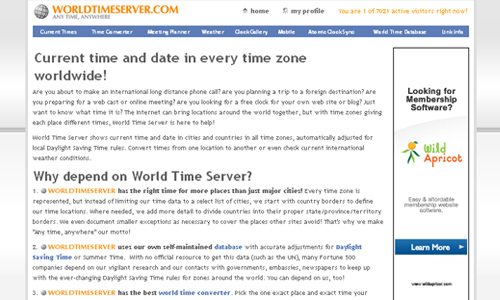 WorldTimeServer.com specializes in providing current local time in cities and countries in all time zones, adjusted for daylight saving time rules automatically. World Time Engine is a service for home users and business professionals which provides all kind of time related information for any given place on this planet. 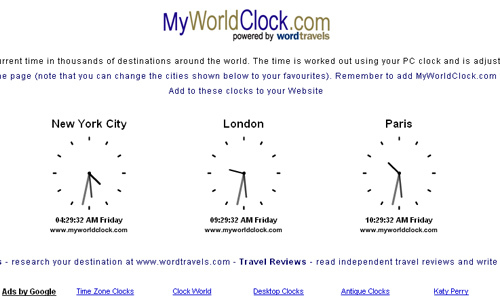 MyWorldClock.com displays the current local time for cities and countries in all time zones. 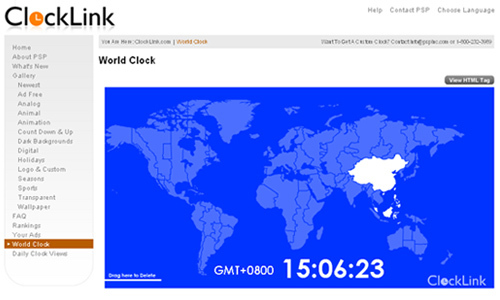 Greenwich Mean Time is a site that specializes in providing world time clocks and maps along with time information for every country and time zone in the world. 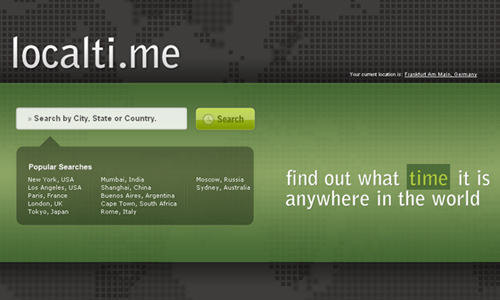 Localti.me allows you to find out what time is it anywhere in the world.